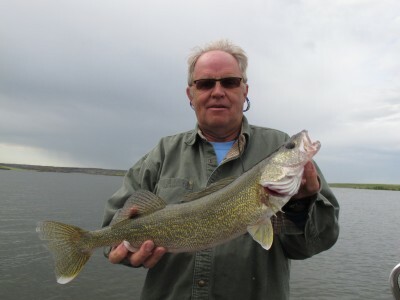 Anglers at Fort Peck Reservoir should have an opportunity to catch more fish this year since northern pike numbers are at an all-time high and walleye have a strong 5-year-old age class. Heath Headley, Fish, Wildlife and Parks fisheries biologist, made the prediction based on the drop in forage fish. With fewer small fish for bigger fish to eat, they should be hungrier and greedily grabbing anglers’ lures and baits. There are fewer bait fish in the lake because it continues to drop. High water years are best for forage fish because the water floods vegetation along the shoreline and provides a place for them to lay their eggs and hide out when they are born. The Army Corps of Engineers, which manages Fort Peck Dam, is forecasting a better runoff this year, but still only 82 percent of average. Last year the runoff was 80 percent of average. For more on the stories, log on to The Billings Gazette’s Outdoors page on Sunday.